What is the veneer of your SHL5? Do you have some side picture? It's tiger ebony. I'll take some pics tomorrow, when lighting is better. Some new pictures during a session of cables testing, with the kindness of my friend. What are your conclusion of your cables testing? The conclusion was slightly unexpected. We tested some cables made by manufacturers like Accuphase, Fadel Art, Unison Research or Vodoo Audio and also some DIY cables made by my friend himself which has very good skills in this. It was a very musical combination, with no harshness and a delightful fluidity. It is a dedicated room, made with my own personal sense of design... so it's a bit -how'd I say- basic... but it sounds great! Sorry, cannot edit my previous message. All cabled Kimber Select (1121 interconnects and biwiring with 3033 and 3035) and XLO Reference as powercords. Looks like a killer system. I bet the class A Pass amps are great with your Harbeths. I saw that your cd player is on your Luxman amplifier. 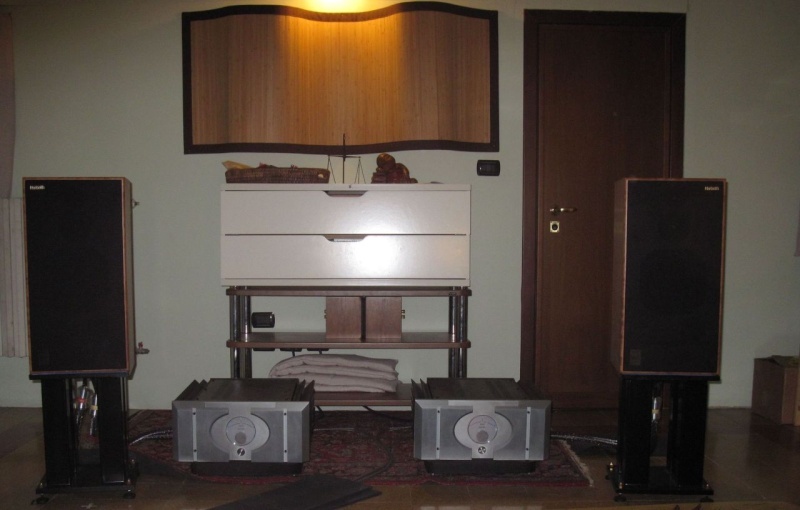 As the Luxman runs quite hot, don't you think it's a better idea to separate them? The Luxman will have more ventilation and can run cooler. By the way, nice SHL5! I really like the eucalyptus finish. P.s. : I am referring to post #379. P.p.s: 3 posts without moderation. I'm glad to see that! Thanks for the confidence. Excuse me for the late reply, I saw your question just now. 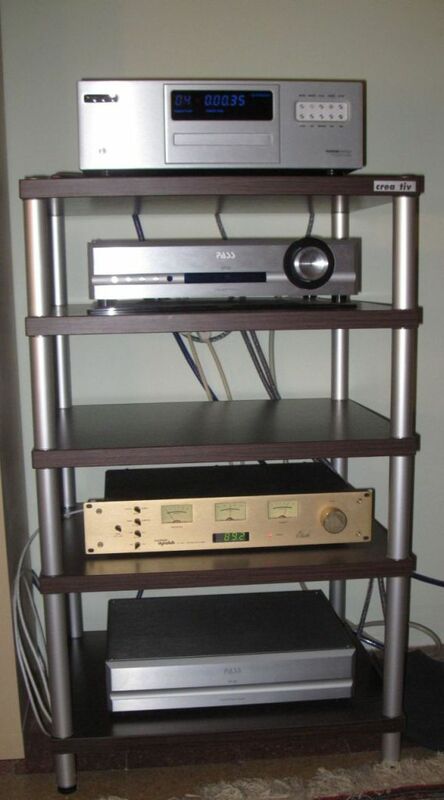 The amplifier and CD player are normally separated, as you can see in my previous photos (post # 366). It was only an accidental situation, to make handier the cable testing. I couldn’t say that the sound is definite better with or without the fronts. Anyway SHL5’s sound delightful (in my opinion)! I think that the problem is more for eyes than for ears. Thanks for your kindly assessments!